“Andrea is a sprinter who can win races, and we are confident that next year he can compete at the front with Cavendish, Kittel and the best sprinters in the world." Astana has announced that they have extended Andrea Guardini's contract. The Italian sprinter who has won three races in the second half of the season, will be riding for the Kazakh team for another year. 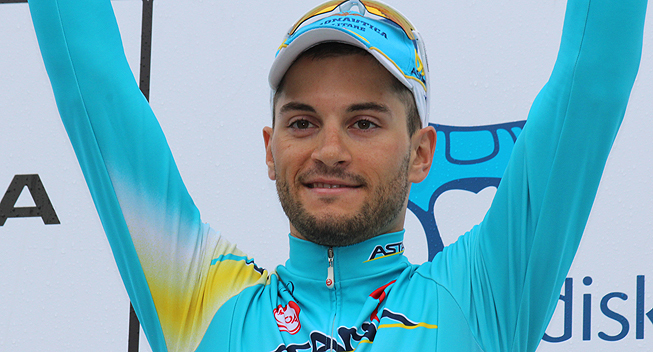 Astana Pro Team has extended a one-year contract renewal with Andrea Guardini for the 2015 season. Guardini won two stages this year at the Tour de Langkawi, two stages at the Tour of Denmark and the first stage at the Eneco Tour, where he took the leader’s jersey. Guardini, from Italy, recently completed his first career Grand Tour at the 2014 Vuelta a España.